Christopher’s book Overpowered! 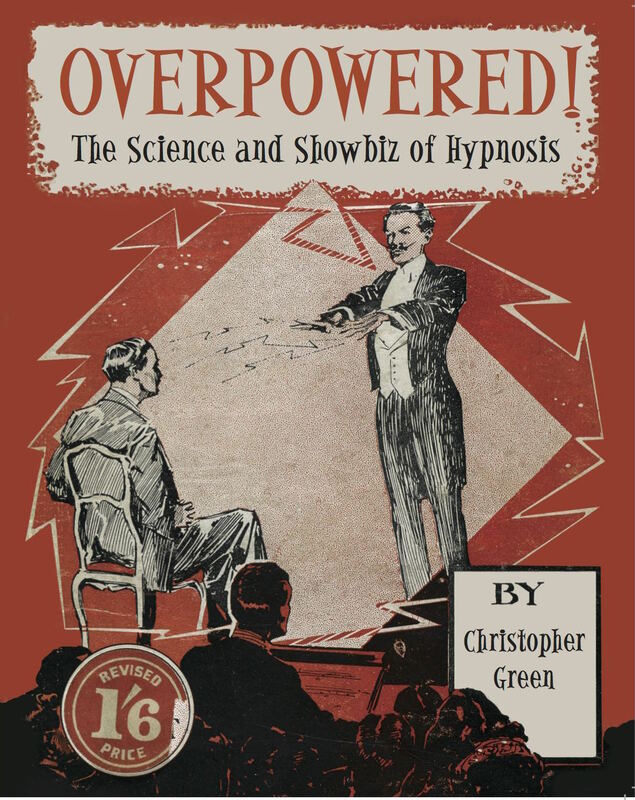 The Science & Showbiz of Hypnosis is published by British Library Publications on 16th October 2015. Available in bookshops worldwide and through Amazon. Hypnotism has fascinated and inspired people since the mid-1800s, when entertainers and medical professionals enthusiastically took up this Far Eastern practice. This is the first popular, illustrated history of hypnosis. It tackles the (relatively) reputable aspects of the subject – brain imaging, clinical trials and hypnotherapy – alongside the smoke and mirrors of stage hypnosis.The author has uncovered intriguing stories about the larger-than-life characters who inhabit the world of hypnosis. From Professors of Mesmerism to Princes of Necromancy, this book explores the different guises of hypnotism as portrayed by pseudo-scientists and showmen alike. It takes a very personal approach to the central questions posed by hypnosis: why do we want to give up our power? Why do we think someone else can change us, if we can’t change ourselves? Why do we want to alter our normal patterns of cognition? Why would anyone go on stage and do what a sweaty guy in a cheap suit tells them to do?An accredited hypnotherapist and performer himself, the author examines the connections between stage hypnosis and hypnotherapy or, in other words, the point at which showbiz meets self-help and sleight-of-hand meets scholarly research. The book is practical, informative and entertaining, and fully illustrated with colourful source material from the archives of the British Library.